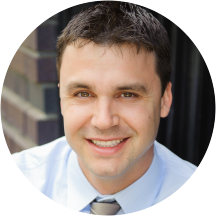 Dr. Jason Bajuscak graduated from the Arizona School of Dentistry and Oral Health in 2009. He joined City Dental in 2012, after spending a few years practicing in Eugene and Salem. Dr. Bajuscak's wife and her family are all Portland natives and are excited to be back in Portland. Dr. Jason Bajuscak is committed to exceeding the expectations of his patients and actively pursues ongoing training opportunities. He enjoys spending time getting to know each patient and building relationships that foster optimum dental health. Dr. Jason Bajuscak insists on using only the best materials and most advanced technology dentistry has to offer. The result is a longer lasting and more beautiful smile. The visit was a 100 on 10. He and his team is so friendly and expert at their job. The whole experience has taken my fear away of going to the dentist. Everyone was very friendly. It was my first dentist appointment ever that was painless. My first appointment with Dr Bajuscak went very well! I did not have to wait, his dental assistants and front desk staff were top notch and he diagnosed and began work on my broken tooth right away. Dr Bajuscak is veryprofessional and has a very personable bedside manner. He explains everything very well and I never felt rushed. All my questions were answered. The clinic is modern and clean. I highly recommend him! I'm not comfortable with many dentists or the process as a whole, but this place was outstanding from the word go! They're quietly efficient, helpful, friendly and take time to clearly explain the process, insurance coverage, options, etc.It was my first visit today and I'm confident this is where I'll stay. I hadn't been to a dentist in a long time and they were really nice with getting be caught up. Overall a great experience. These people are the best! I came in with severe tooth pain from a a missing filling. They took care of it that day and, when I went in for my follow up, Dr. Bajuscak gave me a full set ofx-rays and gave me a filling in another tooth I was having a problem with free of charge!! Great staff! Took great care of my dental issues. Will definitely continue to see this dentist in the future. I went in for my new patient appointment. I was having a little bit of pain with one of my teeth, but never had any major problems before. It turns out I needed a root canal with a specialist and wasshocked. Not only did Dr. Bajusack refer me to a great Dentist, his staff called over and I got in right away. I walked two blocks to have my root canal and then returned for Dr. Bajuscak to finish the rest. It was a long day but they took excellant care of me. I lucked out by walking into their office. Dr. Bajuscak & his team are friendly, straight to the point & only do what needed to be done. The clinic is clean & crisp. Very happy to find a great dentist! !